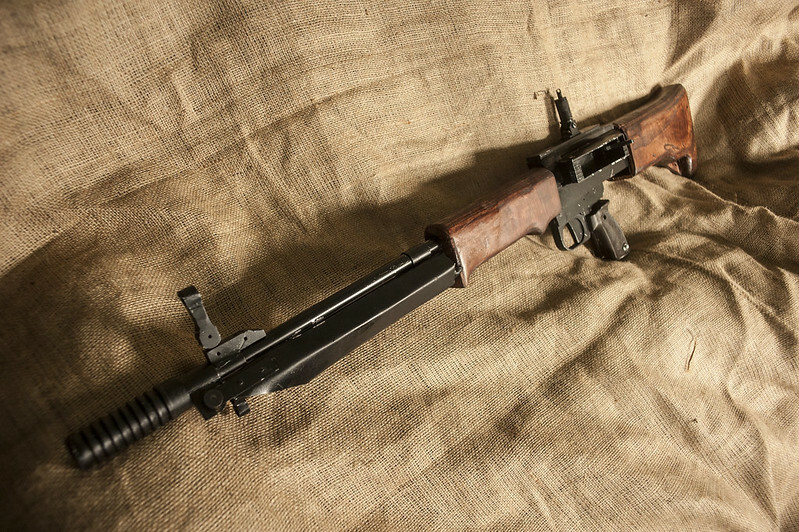 Finished the first FG42 at last. I imagine this may be of interest to some. Nice. Based around an AGM STEN? SCVNGR wrote: Nice. Based around an AGM STEN? Indeed! I reckoned I may as well take advantage of the decent and pretty upgradable internals. Looks like great work. But big question is how much are you looking at putting it out there for? bigkie wrote: Looks like great work. But big question is how much are you looking at putting it out there for? Thank you! Alas I can't do any better than £650 at the moment, though I can offer some discount if a donor is provided. I did have an Etsy listing but they have taken it down and insist on there being a bright orange tip in the pictures. Put my order in yesterday thanmd again or answering all my questions via email Dom lookjng forward to getting my gun! My ww2 German Youtube channel just relaunched!